Let’s have a look at some of the #diginews from last week. A while ago, Twitter made the controversial move of upping their infamous 140 character limit, but there have been issues. Most notably, some devices truncate these new, longer tweets, while some show the full message. Twitter has stepped up with an explanation for this, as well as answering a few more of our most frequently asked questions. We know from the many studies out there that Pinners approach the platform with the intention to take action in some way, so any improvements to campaign targeting is a promising prospect for brands. These latest updates enable you to target your ad campaigns based on Pin interaction. Our television sets tend to be the focal points at home, and now Facebook is trying to take them over. 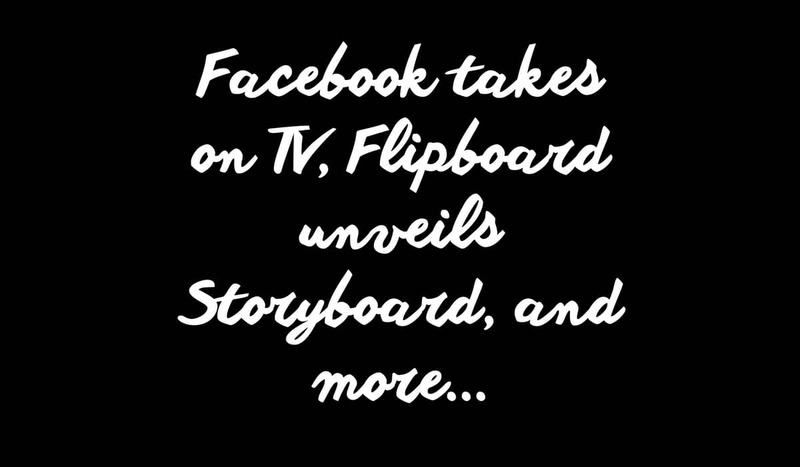 They’ve just released a fancy new app that will allow you to live stream video content directly from Facebook to the telly box, via Apple TV or Chromecast. One of the much-debated drawbacks of Periscope has always been that users are restricted to broadcasting from mobile devices. This is no longer the case. With Periscope Producer, content creators are now able to stream from external sources, such as pro camera, or specialist streaming software. Everyone’s favourite content curation app has made Storyboard available to users collating both editorial and advertising content. This offers brands the unique opportunity to combine dynamic, on brand, high-value content, while still promoting paid offerings.